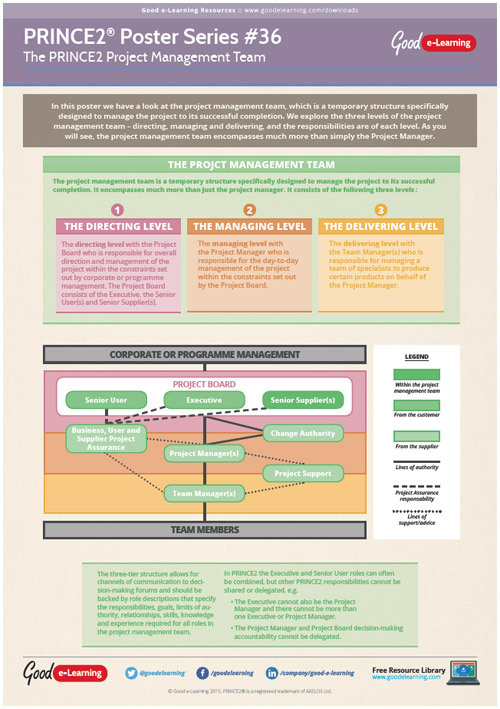 In this PRINCE2 poster we have a look at the project management team, which is a temporary structure specifically designed to manage the project to its successful completion. We explore the three levels of the project management team - directing, managing and delivering, and the responsibilities are of each level. As you will see, the project management team encompasses much more than simply the Project Manager. Download this PRINCE2 poster today and you’ll also get instant access to our entire library of 500+ free Business & IT learning resources!